Under HITS ownership, Balmoral Park property upgrades will include stabling renovations, and construction of six hunter rings and four jumper rings. SAUGERTIES, NY (May 27, 2016): HITS, Inc., home of the Richest Weekend in Show Jumping, announced today that the national event production company purchased the iconic Balmoral Park, in Crete, Illinois, and in partnership with Pat Boyle of Showplace Productions, will host up to 14 hunter/jumper shows beginning in May 2017. Previously acclaimed as a premier harness racetrack and event venue, Balmoral Park, with the assistance of HITS, will transform into a show jumping destination for equine enthusiasts from the Greater Chicago area and beyond. Located less than one hour from Chicago’s O’Hare International Airport, Balmoral Park will become the new home to a number of Boyle’s existing Midwest shows. HITS will break ground at Balmoral in the next week to begin executing a detailed property upgrade that includes remodeling the existing permanent stabling to include modern amenities with the character of the historic barns, and construction of six hunter rings and four jumper rings. The revival of the horse park will keep memorable symbols from the past and present, specifically in the Grand Prix Stadium. The existing property boasts a 70,000 seat mint-condition grand stand, as well as a state of the art VIP Clubhouse, with spectacular amenities that feature the highest levels of architectural development. 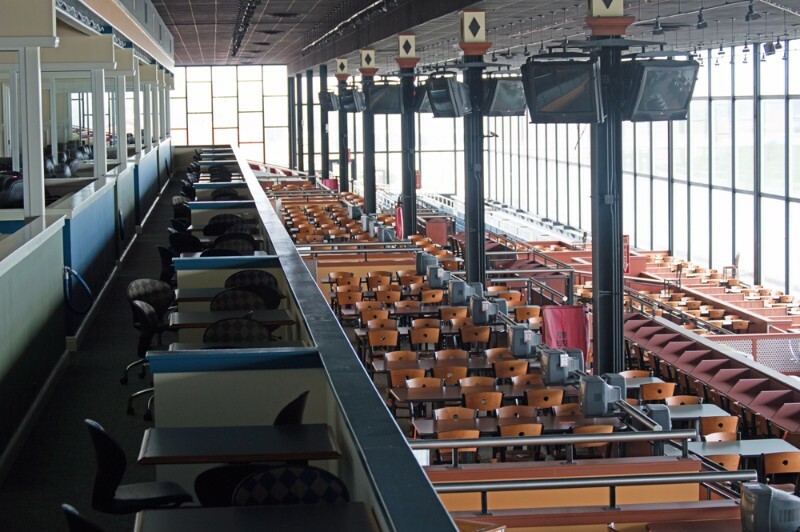 Clubhouse patrons will enjoy indoor, climate controlled seating overlooking all of the competition rings, adding to the first class hospitality experience HITS is known for across the country. Similar to HITS other show jumping destinations across the country, the communities surrounding Balmoral Park will once again feel the positive economic impact as a result of a bustling horse park. For more information on HITS Horse Shows and Balmoral Park, please contact Info@HitsShows.com. Prize lists for the 2017 Spring Show Season will be available in January on HitsShows.com. Balmoral Park boasts a 70,000 seat mint-condition grand stand, as well as a state of the art VIP Clubhouse featuring indoor, climate controlled seating overlooking all of the competition rings, adding to the first class hospitality experience HITS is known for across the country.